Today Drone, a cloud native continuous integration (CI) and continuous delivery (CD) platform, is excited to announce its 1.0 release. It has been nearly 5 years since the first commit was pushed to GitHub in 2014. This much anticipated release of Drone has been a labor of love, and brings the most advanced container-native offering to market. Drone can scale from startup to enterprise, across multiple clouds, operating systems and architectures. Drone is a modern continuous integration system built with a containers-first architecture. Pipelines are configured using a special YAML file that you check-in to your git repository. The syntax is designed to be easy to read and expressive so that anyone using the repository can understand the continuous delivery process. Drone executes build, test and deployment commands against your code inside isolated containers. The major benefit of containerized testing environments is the portability of your testing infrastructure. With containers, Drone can automatically download, install and create your testing environment without having to either manually set up and maintain infrastructure or sacrifice environmental fidelity. Drone 1.0 introduces a new user experience and branding courtesy of the team at PixelPoint. This is the first phase in our improved user interface enhancements. We will continue to iterate on the design and rollout new features and improvements over the coming weeks and months. Drone also supports multi-document YAML files, used to model complex, multi-machine workflows with fan-in and fan-out capabilities. Example multi-machine, multi-architecture pipeline. The first pipeline executes on linux arm and the second pipeline executes on amd64. Drone 1.0 introduces optional support for executing your pipeline as a directed acyclic graph using the depends_on keyword. This can be used to run tasks in parallel, resulting in faster pipeline execution and better hardware utilization. Example pipeline will fan-out and run the backend and frontend steps in parallel, and once complete, will fan-in and send a Slack notification. Drone 1.0 introduces native support for Jsonnet configuration files. Jsonnet is a templating language that includes support for functions, variables, imports and more. Jsonnet can help teams organize and manage complex configurations. In the below example we can compare a multi-architecture pipeline configured in Jsonnet (left) with a traditional YAML configuration (right). Drone 1.0 introduces a new category of plugins for sourcing secrets from external providers such as Vault, the AWS Secrets Manager and Kubernetes Secrets. Enterprises can create custom plugins to integrate with their existing security infrastructure and access controls for enhanced security and compliance. Example pipeline sources a Slack credentials from an external key value pair stored in Vault. The secret is requested at runtime and injected into the pipeline. Drone 1.0 introduces support for scheduling @hourly, @dailys, @weekly and @monthly jobs. Sometimes we need to execute pipelines not because we have changed anything, but because maybe our dependencies have changed, or we want to have an automatic build to get a nightly release out. 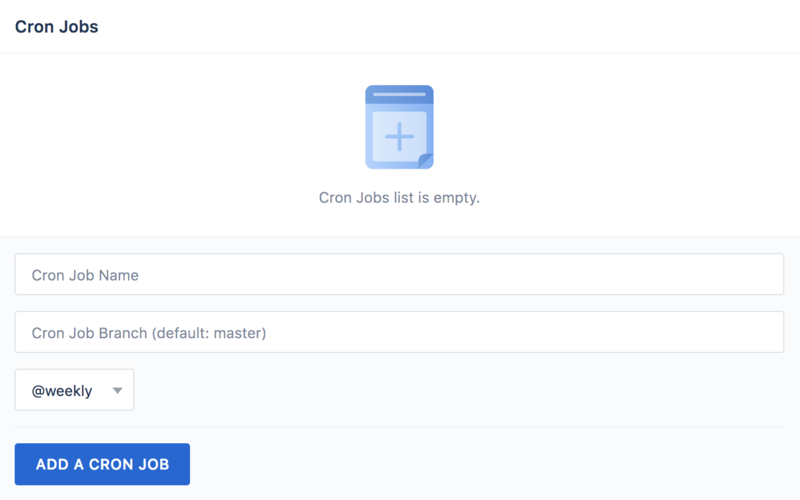 Cron scheduling can be managed from the repository settings screen in the user interface, or with the command line utility. Drone 1.0 provides a lot of flexibility and power to help your organization automate software testing and delivery. 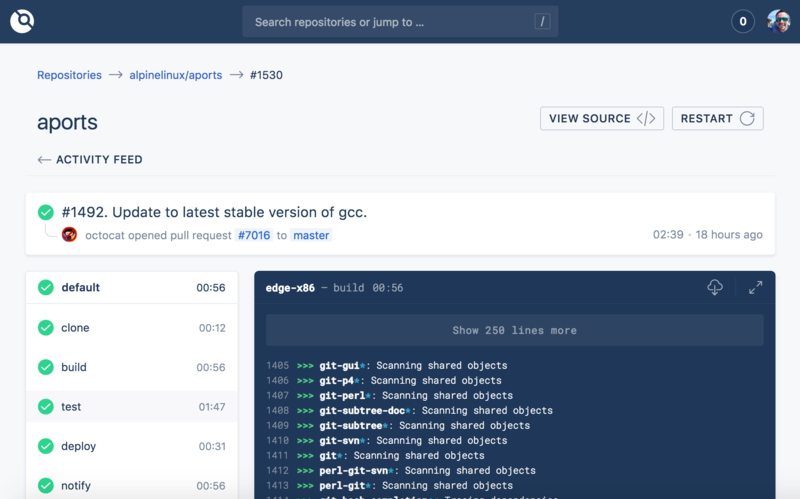 You can get started with Drone in a matter of minutes by downloading our official Docker image and following our installation guide. If you need any help, or if you have any feedback or suggestions for improvement please let us know. With 18,000 github stars and a robust community, Drone has been at the forefront of container-driven workflows. Drone is empowering development teams to deliver software at unprecedented rates. Follow us on Twitter @droneio or on Github for news and product updates. Copyright © 2018 Drone.IO Inc.